All stake holders of the organization will be treated equally and provided equal opportunity to develop, sustain and excel. Encouraging in-house and external resources to greater involvement in team/ individual projects in support of wider community development. 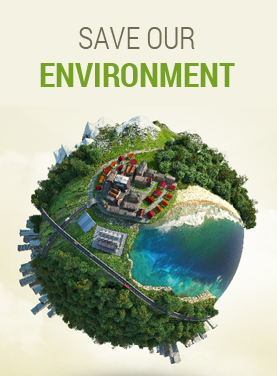 Developing environmental management practices that minimize waste and maximize efficiencies. Every business starts and ends with man management which paves way for our principle of good relations. This principle addresses the needs and aspirations of staff through the continuing development of diversity, work-life balance, health and well-being. The four decade old Sharp Pumps one of the most prominent names associated with water pumps, has always strived to reach out beyond business. Education, training and helping the needy have remained the key elements of its socially responsible endeavors. As an initiative of Point, Anan draws from its parent company’s passion for education to deliver a holistic learning platform for children. Research has proven that a child’s formative years, especially the first six years, are crucial for optimizing development. Moreover, children who have had the opportunity to be a part of a high learning environment demonstrate positive developmental gains when compared to their peers. It is this fundamental understanding that drives us to extend a one-of-its kind environ that fosters every child’s holistic development across multi domains. Sprawled over an extensive area of 6 acres, Anan Kids Academy, offers theme-based learning spaces at the Kindergarten, Primary & Secondary Grades. Anan Kids Academy endeavors to make education precisely what it should be enriching, enlightening and enjoyable. With an intention to impart vocational training to the rural, poor and needy students enabling them to take up life, Sharp Pumps conducts an Industrial Training Institute [ITI]. Started in 1989, this setup has helped in building up the image and economy of the community around SHARP. The ITI is now accommodating about 100 students / trainees every year and so far has been instrumental in passing out more than thousand of well qualified students since the start. One can be certified in the following functions. Scholarship for outstanding students of upto 50% fee concession is given based on academic performance at SSLC level. The Directors of Point Pumps are quite conscious of their responsibilities towards the betterment of the society and have been evincing deep interest in doing a dedicated service to the community through Sri RI Foundation. This foundation provides financial assistance by donating funds for the economically downtrodden. Strong personal urge for upliftment and contribution to the welfare of the society led the founders to invest in philanthropic activities with focus on the following areas. Health Care donating hospital equipment & amenities for State run hospitals, providing hearing aid and surgery needs for the needy. Education Sponsorship for school and college fee for the deserving. Natural calamities Rendering helping hands in time, during natural calamities.